NF (5757) - Whether going to timebeing bottom out today ? Today may be reversal day ! In upside face hurdle at 5800 & 5860 but trade and stays above , upmove to 5990. In downside support exists at 5750 but below that 5680 and afterwards 5620. 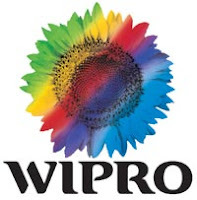 WIPRO (461) - As posted on 04th Jan. it topped at 497 and as expected, fall is going on, now in down side attack 450_440. MCLEODRUSS (203) - Posted on 6th Jan. strong hurdle 223. As expected it exactly hurdled at 223 and from there it already fallen to 201. now below 198 fall continue to 180. JSWSTEEL (986) - Last hope and support at 945_930. IDBI (149) - If trade and close below 144, fall upto 120-118 and in between support exists at 132. HINDALCO (222) - Now hurdle 227-230. if not trade above this level, fall upto 196. 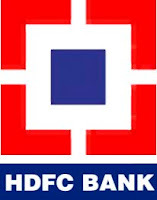 HDFCBANK (2152) - Trade and close below 2150, ultimate down target 1900 in between support at 2050. EDUCOMP (488) - As posted on 21st dec. from 518 it reached the mentioned target of 556 and from there it falling down. now fall may arrest at 480 but if not, then fall continue and once again test the low 440. BPCL (605) - As posted on 03rd Jan. Below 650 it came down and attacked the metioned target of 601.
now what next ? If trade Below 601 may fall to and worst case low 588 but trade below that, fall continue to 552. 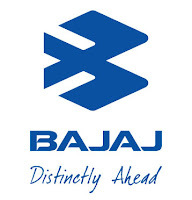 BAJAJAUTO (1262) - Last 6days it falling down from 1565 to 1256. On going fall, going to arrest either 1205-1195 or worst case at 1115. AXISBANK (1255) - Last hope and support 1230 but trade and close below that fall continue to 1150_1115. ABAN (725) - As posted on 30th dec. exactly it went upto 825 from there fall started and already corrected Rs.100/- now what next ? Hurdle 737 and now trade below 717 fall continue and once again going to touch the bottom 640-630.